Rosie's Cottage: My Soap & Glory Obsession! My Soap & Glory Obsession! Disclaimer: I have not been paid to write this post or to recommend any of these products. I literally have them in my bathroom cabinet and use them regularly because I adore them, that is all. 1. Quality. Nothing more to say than that. 2. The scents! Oh my, do they smell gooood! 3. They do exactly what it says on the tub/bottle/tube. Skin is left feeling fabulous. 4. They're so easy & fast to use and they make cleaning, moisturising & feeding your skin simple. 5. I'm sorry, I know this is silly, but I adore the packaging :) I love the huge pump bottles which are so user friendly, even with wet hands fresh out of the shower. I love the large generous jars of goodness (I'm talking about you here "Righteous Butter") that seem to last for ages & ages. I could go on and on! First up is my go to shower buddy "Clean On Me"
Next up is another of my "can't live without it" products :) The single best body butter ever in my humble opinion and I don't say that lightly. It's the one & only "The Righteous Butter." There are no words for how much I adore this, seriously. Shhh! Don't tell "Clean On Me" but sometimes I stray with another shower gel! I can't help it though because it's lovely & foamy & smells gorgeous! For too many years I ignored exfoliating. The idea of scrubbing away your own skin on purpose seemed crazy to me. Sugar Crush is definitely NOT some kind of brutal medieval torture though, it's a gorgeously scented scrub, using that same fabulous scent as the Sugar Crush Body Wash does from fresh lemons, limes & vanilla musk with the addition of almond oil, along with sea salt, smashed brown sugar, glycerin and macadamia oils. As I said, I never really bothered with exfoliating, but as a woman gets older, you realise that no amount of make up is any kind of replacement for beautiful healthy skin. To have beautiful healthy skin you have to look after it and when products smell this good & work this well they're a joy to use. 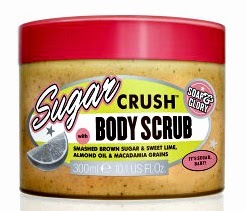 I only use my Sugar Crush Body Scrub maybe once a week, and I swear my skin feels amazing & velvety soft. I'm not sure that I would have bought this, and given how much I adore using it that would have been a shame! I first tried it when I got a bottle included in the beyond fabulous huge Soap & Glory bag just before Christmas 2012 from Boots. Back then the packaging was slightly different, it was in a pink bottle and the label said it was a "4 in 1" product, but I tried it and loved how it made my skin feel. It really is the most amazing cleanser, removing every trace of make up, including waterproof mascara! Basically you use 2-3 pumps of cleanser onto your face & neck (I use a little exfoliating sponge I saw in Home Bargains) and then rinse off with warm water, dry with a soft towel & then put on your moisturiser. Minutes to a face you can't help touch because your skin feels so good. I use this even when I haven't had make-up on, it really has made my skin feel amazing. I did have a problem for a while with blackheads on my nose (eeww!) which are now completely gone. I love it! OK, before I say what I'm going to say next, please believe me when I say I don't do pity parties. There is a point to what I'm going to tell you and I hope that it's not too personal. I have RA (rheumatoid arthritis) which began in my hands and wrists. My hands can be acutely painful at times. Over the years they've changed, my knuckles are sort of "twisting" and my fingers don't look like my fingers anymore. Also I have to wear support splints on my hands which are not exactly attractive. Because of all of this, and because of what I put them through, (still work part time and I do as much as I'm able to around the house) I like to pamper my hands a little. Hand food is what I use to pamper them. I know they say you can put a little on 2 or 3 times during the day but I prefer to put it on at night and then I put on a pair of soft cotton gloves and sleep in them. I take them off in the morning (and they go into my morning laundry) and I have lovely soft hands. More than that though, I feel human, like the old me, for a while anyway. I use this 2-3 nights a week and whenever I feel my hands need a treat. 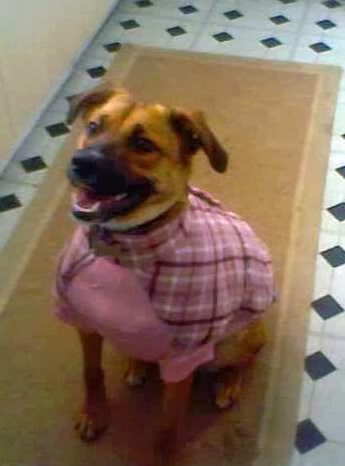 A couple of times a week, before going to bed, as I do with my little cotton gloves and my Hand Food, I smooth Heel Genius over my feet and put on a pair of cotton socks, which I then sleep in. You don't need special socks honeys, just an ordinary pair of cotton ankle socks will do, that's what I use. I can't remember when I've ever had such lovely soft feet and again, this product has such a gorgeous scent. A perfectly yummy body lotion that smells positively delicious! Anyone who has tried Smoothie Star body lotion will know exactly what I mean when I say it smells so delicious it's practically edible, except it's obviously NOT so don't be tempted! lol :) It's apparently made using oats, honey & yoghurt and it's scent is achieved using oats, almonds & brown sugar! Yum! Really though it sort of smells like cookies :) very sweet, disappears into your skin very quickly and the scent hangs around for ages too :) I love this, such a great moisturiser & leaves skin feeling soft & wondrous. So, onto my last product, for now anyway. Told you honeys, total obsession :) It's another moisturiser, something Soap & Glory is, in my humble opinion, unmatched on. Their moisturising products are phenomenal. They smell beyond glorious and are a genuine pleasure to use. OK, this actually hurts me to say this because I adore the range so much, and it's definitely not a negative comment on the product itself which is as gloriously high quality & great to use as the brand is famous for. That having been said, this is a very thick lotion, fabulous to use but it really should have been packaged, I think, in a jar instead of in the pump bottle. I absolutely and completely adore the huge (500ml so you do get a lot for your cash) pump bottles. They are so "user friendly" even if you're just out of the shower with wet hands, and as I said are a great size so lots of product, BUT I really do think the Butter Yourself moisture lotion belongs in a jar instead. It seems to be too thick to come out of the pump? As I said this in no way detracts from the quality of the product itself. This is believe me the only issue I have with it, and maybe it's just me? Onto the product itself then and I can only say good things about it as a moisturiser. It's especially great rubbed straight onto still damp skin, right after you get out of the shower for instance. It soaks into skin straight away, smells lovely, sort of fruity? and has the same great results. I just wish they'd packaged it in a jar instead then it would be as easy to use as my much loved "Righteous Butter." Rosie & The Very Large Spider! Rosie's Rose Garden In Bloom & Free Printables! Tiny Mudroom - The Organization Continues!